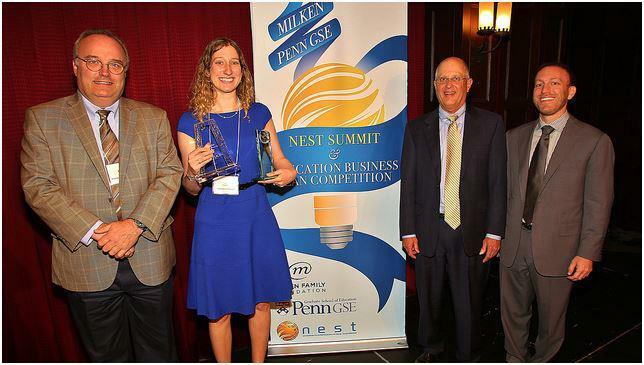 Celebrating Innovation in Education at the 2013 Milken-Penn GSE Education Business Plan Competition - Wally Boston - American Public Education Inc.
Last week, the University of Pennsylvania’s Graduate School of Education and the Milken Family Foundation hosted the fourth annual Milken-Penn GSE Education Business Plan Competition. The competition website explains that “there is an urgent need to find ways to reach and educate every person” while also noting that “The United States is the largest exporter of education in the world, and education is our country’s fifth largest export.” The competition brings together educational entrepreneurs intent on finding new ways to reach and educate more people around the world . 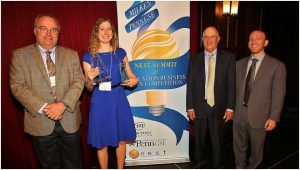 While there are similar competitions in the fields of biotechnology, engineering, medicine, and software, among others, the Milken-Penn GSE Education Business Plan Competition was the first of its kind in education. Ten early-stage start-up education companies competed in the final phase of the competition for seven prizes totaling $145,000. The resounding winner of the competition (taking home three $25,000 prizes) was Raise Labs whose mission is to “fix the way students access financial support for higher education.” The company’s business model rests on securing scholarship money for students who can apply for and win funding for college throughout their high school years. Their rationale is that by the time scholarship money is made available to students, it is late in the high school experience and students may have already “checked out.” The ability to win scholarships for college throughout their high school career may also encourage students to maintain academic and extra-curricular engagement throughout those years. 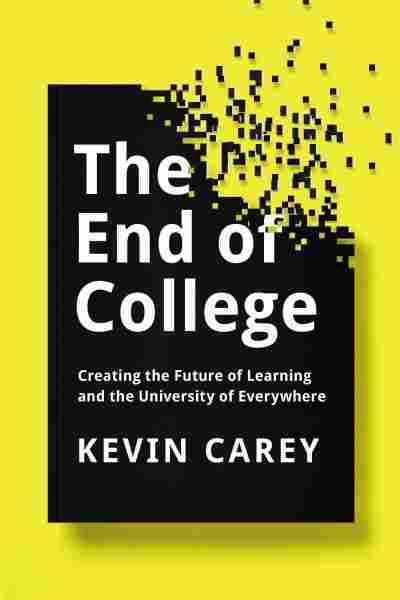 It may also arguably bring needed perspective to the high cost of attending college to students earlier in their academic careers, leaving them ample time to make an informed decision about where to attend college based on cost and quality. 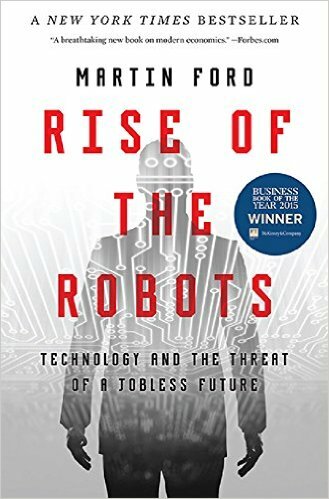 I’m particularly proud of the competition’s APUS Prize for Innovation in Online Education, which provides funding to companies leveraging innovative strategies and techniques in online higher education. This year’s $25,000 award winner is Boston-based Persistence Plus, which is working to leverage “the mobile technology that students use daily, and apply behavioral nudges that have helped people quit smoking or exercise more, to foster the behaviors and mindsets necessary for college persistence and completion.” Co- founders Jill Frankfort and Dr. Kenny Salim are well-versed in the complexities of today’s higher education landscape Frankfort is focused on helping colleges transform how they support, engage, and motivate students to completion of a degree. In her previous position with Jobs for the Future, she worked with colleges and school districts to improve educational outcomes of low-income students. Dr. Salim is an expert in developing and implementing initiatives aimed at increasing student success. He was most recently a senior public school district administrator in Boston where he oversaw programs focused on improving college readiness and academic reforms for more than 50,000 students. The issues surrounding progress to program completion and graduation rates among college students are well-documented. Just over half of traditional four-year college students graduate in six years. College completion for part-time, working adult students is generally longer than six years. At the same time, a recent Pew Research Center report notes that “as of April 2012, 55% of adult cell [phone] owners use the Internet on their mobile phones” and that “31% of current cell Internet users say they mostly go online using their cell phone, and not using some other device such as a desktop or laptop computer.” Persistence Plus’s model of leveraging mobile technologies to engage students with their education is innovative and, considering the Pew report’s findings, of promising potential. If students are able to engage with their online classrooms on their mobile devices, devices that many report are their main source of internet usage, they may be more likely to remain engaged and persist with their program through graduation. Even for those companies that did not receive awards in this year’s competition, there is still opportunity. Each finalist will be invited to attend the newly-created Education Design Studio Fund (EDSF), “a new ecosystem of entrepreneurs, investors, practitioners, and researchers dedicated to accelerating the rate of innovation in global education.” In collaboration with Penn GSE, EDSF “will work with stakeholders in the investment and publishing communities and with the best providers of curriculum and programs to incubate edtech entrepreneurs.” With the many challenges facing higher education in America today, initiatives like the Milken-Penn GSE Education Business Plan Competition and the newly-announced EDSF are critical to improving our nation’s learning outcomes.